Will These Tips and Tricks REALLY Make Your Hair Grow Faster? Waiting for your bob to become a lob to then transform into long, cascading layers is a process that often seems like an immeasurable amount of time. If you’re not investing in extensions, growing out your hair and putting your frustrations aside for inches to grow is waiting game you’re going to be stuck in. That’s not to say we wouldn’t love to speed things up a bit. There’s a reason we try out all those wive’s tales and skin care hacks for unexpected blemishes, so looking into solutions to faster hair growth isn’t really surprising. You’ve probably heard of people adding biotin supplements to their daily vitamin intake or even giving themselves a relaxing scalp rub to get those strands moving along, but do these tips and tricks really work? We consulted an expert to get to the bottom of some supposed solutions you might have heard over your lifetime and to find out if there is any logic in giving them a shot for Rapunzel-length locks in no time. Check out some of the details below. It seems counter-intuitive. Cutting off your hair to make it grow? Well, it kind of is. Turns out, cutting your hair off won’t make it grow faster (your hair doesn’t grow from the root, anyway) but that’s not to say there isn’t some logic behind trimming it to maintain a nice look or make it look fuller, anyway. “Getting your hair cut won’t make it grow faster, but trimming the ends usually makes a style appear thicker. If split ends are involved, trimming them off will also help prevent future damage and breakage, as they are likely to split further up the hair shaft if left unattended,” explains Anabel Kingsley, a Hair and Scalp Expert at Philip Kingsley. The brand Philip Kingsley is known for their Trichological approach to hair and scalp health and has clinic locations in New York City and London. Basically, getting a cut isn’t going to make your hair grow faster, but you’ll be preventing breakage which in turn could make your locks look unhealthy and less lustrous. Think of this as more of a mind-trick than a hair growth method. So yes, supplements can work but you’re not going to have dramatically lengthier extensions-like hair by taking them. Your scalp might not be the part you call out in styling, but it is one of the biggest players in the appearance and even health of your hair. Think about where the oils collect on your head. 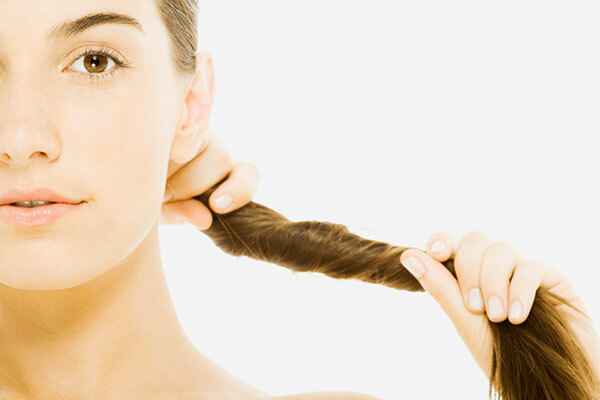 As it turns out, treating your scalp to a massage can be beneficial. “Scalp massage improves blood circulation to hair follicles and also aids in the removal of dead skin cells, creating the optimum environment for healthy hair growth,” notes Kingsley. So in this circumstance, a massage helps make an ideal habitat where new hair would want to grow. How often do you give your scalp a rub? “To get the best out of a scalp massage, apply a scalp mask, such as the Philip Kingsley Stimulating Scalp Mask, 1-2 times per week and massage it in for 5 minutes,” she explains. Coating your scalp in a mask or goop of some kind won’t stimulate a rapid hair growth, as there are factors in that department you really can’t control. “The rate at which hair grows is genetically determined, so nothing you apply to your scalp will accelerate this,” notes Kingsley. Still wondering if that old mayo mask will do the trick? “Unless you’re mixing the mayo with eggs and eating it, this isn’t going to make any difference to hair growth,” she says. What you CAN do is cater to the growth cycle, making sure nothing is causing it to get cut short. “However, sometimes the length of the hair growth cycle can be cut short due to certain bodily imbalances; the most common of these being protein deficiency, ferritin (stored iron) deficiency, anaemia, stress, and hormonal sensitivity. In these cases, putting the underlying issue right will help your hair to grow at its maximum rate, and also to the desired length,” she explains. Yes, in short you can eat specific foods that aid in hair growth, but don’t ONLY go eating those things. It’s about incorporating, not overdoing it. “I wouldn’t recommend any food be eaten in excess—be it fruit or cookies! However, when it comes to hair, there are definitely certain foods you need to consume to support its growth. Firstly, hair is made of protein so complete proteins, such as fish, chicken, eggs, and meat are really important,” notes Kingsley. To incorporate this into your diet to aid your hair, Kinglsey recommends adding in a palm-sized portion, which she says is about 120 g. in weight, to breakfast and lunch. “Complex carbohydrates are also vital as they provide energy to rapidly growing hair cells, as is red meat, which contains high levels of iron—a mineral that helps the body to produce hair cell protein,” she notes. There are other foods that have been said to be helpful by experts, as well. Wearing Your Hair Up—Does It Inhibit Growth? To give a clear and concise answer, wearing your hair up and super tight for extended amounts of time and in extremities can contribute to hair loss. Our expert explains that pulling your hair back too tightly puts stress on strands, could cause breakage, and sometimes, can remove the hair from the follicle, AKA where it grows. “This is called ‘traction alopecia’, and if done for an extended period of time, permanent hair loss and failure of new hairs to grow can result,” she notes. For the most part, if you’re not wearing your hair up and so tight you can barely move all day, every day, you’re not going to have too much of a problem. And in any event, it’s always great to mix up your ‘do and try a different style.